I feel like a proud mama every time I hear how one of my students has taken what they learned from me (and others) and gone on to become uber successful affiliate marketers. In this case, Jamie is a 38 year old musician — but it's affiliate marketing that has put bread on his table. 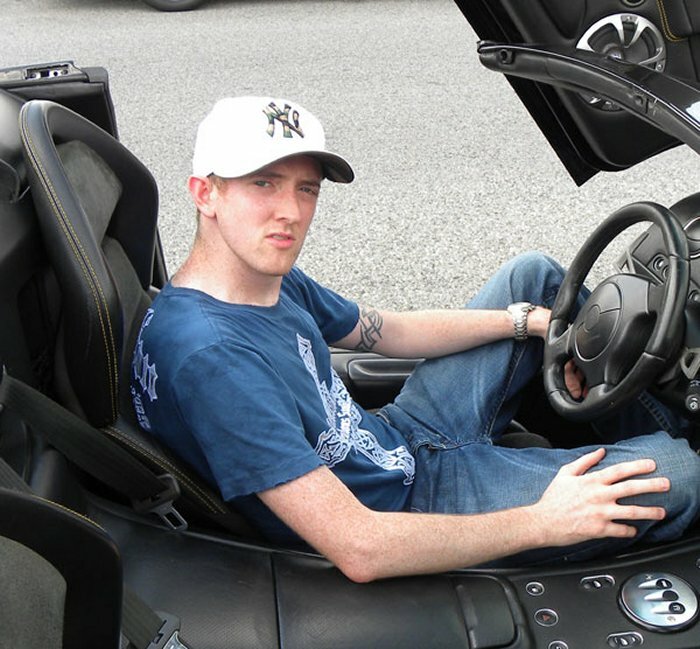 There's an Aston Martin in his garage thanks to the 12 million bucks he's earned as an affiliate marketer — primarily on Clickbank. He's now decided to teach others what he's been doing so successfully — because he HATES the fact that ‘gurus' charge people way too much. I love that he introduces his course in a very special way… he sings… and calls himself the “Singing Guru”. So, what's does the Singing Guru sell? His upgraded training allows you to unlock every webinar he does forever, and use his personal traffic software suite with instructional video training. His training program opens on April 6th, 2015 at 10AM Eastern. If you get there beforehand, simply add your name and email address to the form to be advised when the course opens for sale. Like I said before – the cost is super low end (Clickbank guaranteed product), so you have nothing to lose and everything to gain. P.S. If I was a REAL mom, I'd encourage Jamie to improve his posture. He's gonna hurt big time when he hits middle age and all the money in the world won't prevent that pain. Wonderful article Ros, and you are a mama to a sweet brown lab named Jasper. I know it must make you so proud to read of your student’s success stories☺️, and I have to agree with you on the posture 😕…..lol.